So – you are really good at what you do, and you are moving up the food chain in terms of being a marketer. Either you are starting to manage a team, or you are building your own business. Congrats – it is not easy to get there, and only a small percentage of us actually do! Well, one of the inevitable phases of growing your team or your business is to eventually create processes. Why? You want to become bigger than yourself. Some of us DO NOT like the process creation step. Personally, it is not my favorite, but the end-point is greater consistency and a better frame of mind. 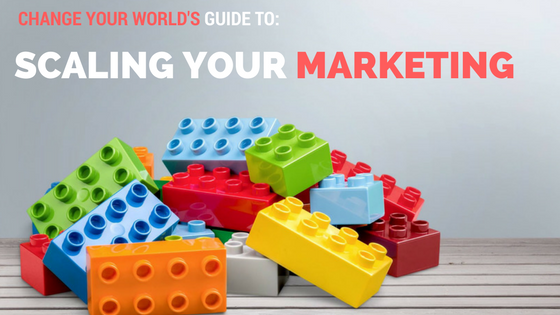 The hard truth is… unless you want to become a specialist and stay a specialist (which is completely fine, but not for everyone), you will want to learn how to scale your marketing efforts. No matter how you want to do that, it all starts with good processes. Helps you understand a number of resources it takes for each job. Helps reduce the number of steps needed. Makes it easier to backfill roles, or cross-train. The first step to creating a flowchart is to create a workflow. You can see a simple on that I created here, about the eBook creation process. You can create these using simple, free tools including Powerpoint and Word. You can also use Gliffy if you want to use a great tool that I strongly recommend. Process diagrams are based on UML diagrams, which has its roots in software engineering. There are some very basic shapes that I use for my diagrams, which can help you. Oval: This is the start and end of your diagram. Rectangle: This is each part of your process. Diamond: This is a decision – typically yes or no. Arrow: The arrow represents the flow of your diagram. If you don’t know where to start, you can simply jot down a list of processes. Personally, I get out my sketch pad and draw the steps out manually. This is so tactile and taps me into being more creative. Others, like to get right into the UML tool. I recommend keeping a folder on your computer for all of your processes, so you can build them over time. When you decide “what is the craft”, that will help you decide what you have to keep, since that is the best value that you add, and what it is you can systematize. For example, for me, the craft is creating the marketing strategy. In the long-term, the project management part of my business is something where I would need a professional, but not myself to continue on with. It is important that are you are systematizing, never to rely on talent and willpower. This is counterintuitive, but it actually is true. We are trained to be the most talented to win, but, focusing only on talent and willpower will mean that you only have success when you are laser focused on your outcome. If you have a system, in contrast, you will be consistent in your efforts. Service: A ticketing system is an excellent way to systematize service. There are several excellent tools, including Zendesk, Freshdesk and Happy Fox. Projects: Using the UML Diagram process above will give you a great start in terms of systematizing your processes. On top of this, you can have a project list that you stay on top of every week and update. Relationships: Systemetizing relationships? Doesn’t this sound like a robot? Not necessarily! While I was in franchising, I used to call my top 3 franchises for each quarter once a month. This helped me build relationships with the people that were really great, or up-and-comers. I would choose who to talk to by seeing who was in the middle of groups of people, naturally leading them or who was seeing big leaps and bounds in their businesses. Sometimes, the things that it took for you to be an expert, are different things than what it takes to bring your marketing to the next level. Although these systems and processes may not be the most fun for you to build, you will thank yourself in the long run!